LOS ANGELES – Pointing to a rising level of hate crimes and concerns about under-reporting, the Los Angeles County Board of Supervisors voted Tuesday to develop an educational campaign against racism and discrimination and to review related sheriff’s department policies. 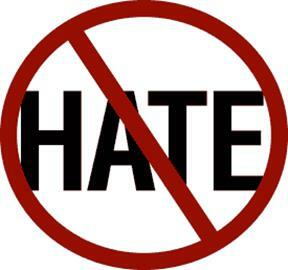 A separate May report by the state auditor showed that law enforcement authorities under-report hate crimes due to a lack of training and appropriate policies. The Los Angeles County Sheriff’s Department was not included in that audit. 16 comments for "L.A. County pushes back against hate crimes"
My neighbors have formed a hate crime against me dating back over six years. The woman accross the street asked me if i was a whore with a whore house…i have realtors. Insurance agents and more whom live in my neighborhood call me a whore tell me to move and other hate crimes such as ripping off my electrical panel replacing breakers with unfit breakers… Trying to cause a fire. T he lady accross the syreet films my home illegally and they discrimate against my dissabled son. My son is mentally ill so they took a hate crime against me. My neighbors daughyer t old me vicki and Darlene formed a haye crime to make us move. I have since contacted the dissabilities discrimation board for help. There are legal ways to handle haters. And witnesses come forward after witnessing hate crimes. In my case internal affairs is investigating the illegal intrusion of my home by the woman accross the street from me as well as behind me and a bunch of other neighbors whom are realtors insurance agents and sherriff threating me to move or else… Bec a use my son has seizures and they dont understand the phase after the seizure. Internal affairs will be processing paper work for restraining orders that will prevent chp to ever hurt me again. We need to train and educate the public and not just the law enforcement. Funding? I hope he comes back and says No. Whites are also victims of hate crimes. I know from experience. This whole hate crimes stuff is b.s. There have been many cases over the years of Whites being attack by Blacks using all kinds of racial slurs and almost never get charged with hate crimes. Like in 2010 at the Iowa State Fair. 40 BLACKS attacked Whites giving one guy a skull fracture running around yelling ITS BEAT WHITEY NIGHT Nobody charged with hate crimes. Even when they yell something like BEAT Whitey Night. Complete double standard. This should have been all over the news. Ron, given the way you use being white as an excuse just imagine what a wasted sack of skin you would be without that advantage. What the hell are you talking about? You don’t see a double standard? Hate Crimes are complete crap. Hate Crimes are not fair to Whites. I think the Supreme Court Should overturn Hate Crime Laws if they are not going to be fair. Ron, you’re “Wahhhh, I’m a poor picked on white boy! How can anyone expect me to succeed with such a handicap” nonsense really makes you look weak. Grow a pair you loser. Ron, I see you’ve been reading stormfront. Ron served time for embelzement for mafia….. H e s no saint. @Ron…Straight from Stormfront: White Nationalist Community. Especially the ones running Lancaster.